Supporting your favorite choir has never tasted so delicious! Join us on Thursday, November 29th for some delicious eats to support your favorite chorale! 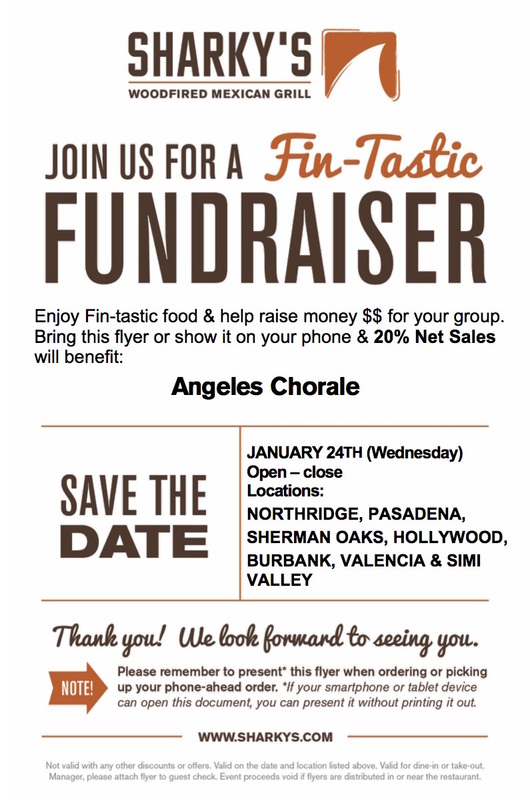 Simply bring this flyer to one of the SEVEN participating Sharky's Woodfired Mexican Grill restaurants listed below, and 20% of your check will go to the Angeles Chorale! Proceeds will support all that's involved in bringing our special concert experiences to the community--musicians, venue costs, community outreach and more. Bring your friends and family and make it a great night out in support of choral excellence in Los Angeles. The FUNdraiser is valid all day on dine-in, take-out, phone-in, catering and delivery when ordered directly from the restaurant. Questions? Contact us at info@angeleschorale.org or 818-591-1735. 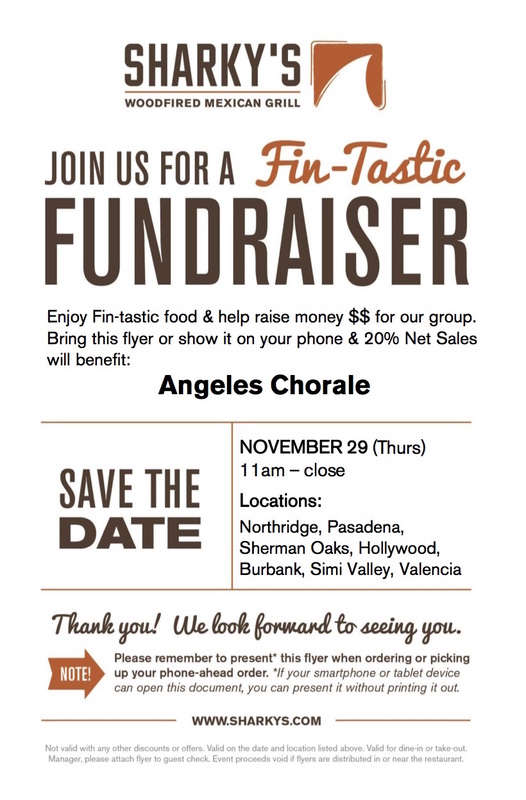 On Thursday, November 29th, bring this flyer to a participating Sharky's Restaurant and support the Angeles Chorale by enjoying a delicious meal! Learn more ways that you can bring inspiring choral music experiences to Los Angeles!